This is your chance to see what the Los Angeles Times calls 'The best Beatles show in the world'. The band is introduced by an Ed Sullivan look-alike, and three costume changes re-create the era of the British invasion and psychedelic summer of love. 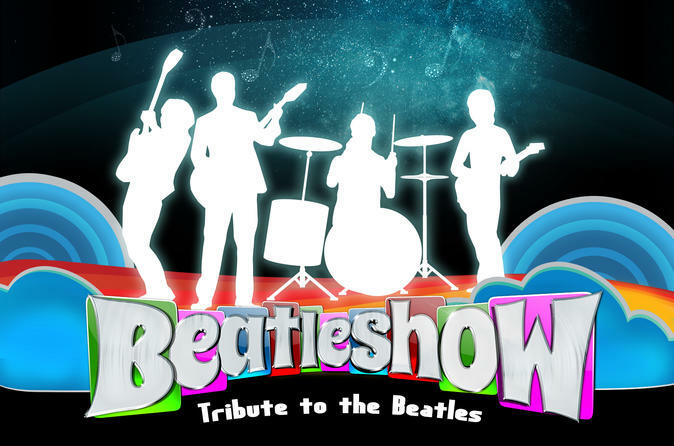 Beatleshow brilliantly re-creates the sound and image of the original lads from Liverpool, even down to playing the same brand of instruments. Beatleshow sing live renditions of the Beatles' hits with such uncanny perfection, you will be astounded it isn't a recording. Take a Magical Mystery Tour with Beatleshow at the V Theater at the Planet Hollywood and Casino! You also have the option to include dinner at one of Las Vegas' many restaurants. Special Offer - Price displayed includes a 63% discount off the local admission price! - Book Now!